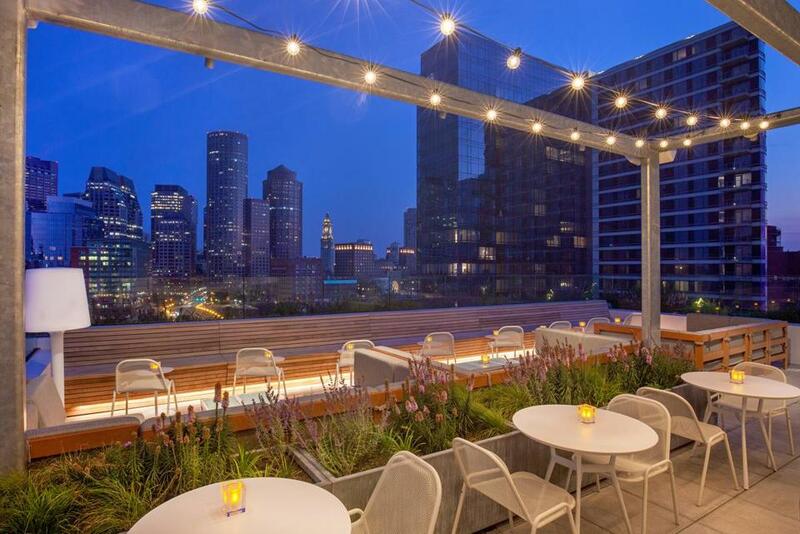 Yotel in the Seaport District has opened its Sky Lounge Rooftop and Terrace amid the warm weather. Punxsutawney Phil could use a cocktail — or six. Bostonians are wearing flip-flops on the T, sunbathers are on the Common, and Frog Pond ice skaters have donned bikini tops. For the moment, Boston is getting a taste of warm weather. Call Wednesday — when Boston’s official temperature hit 70 degrees, according to the National Weather Service — a midwinter night’s dream, of sorts. Except the sun is still shining. So take advantage of it. Knock off work a little early and grab a table on one of these local restaurant patios (or rooftops) — some open only for Wednesday — before the cold weather returns. Yotel: 65 Seaport Boulevard, Boston. Sky Lounge Rooftop and Terrace open from 5 p.m. to midnight. Envoy: 70 Sleeper St, Boston. 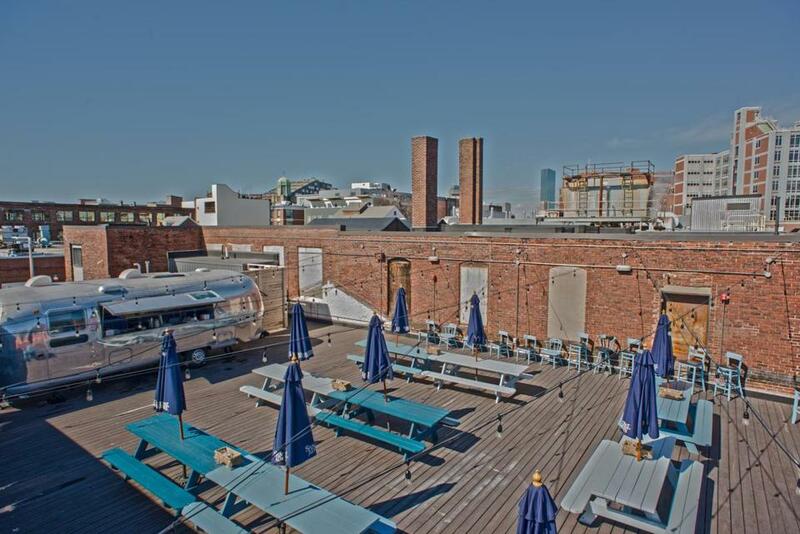 Rooftop open at 4 p.m.
Coppersmith: 40 W. 3rd St., Boston. 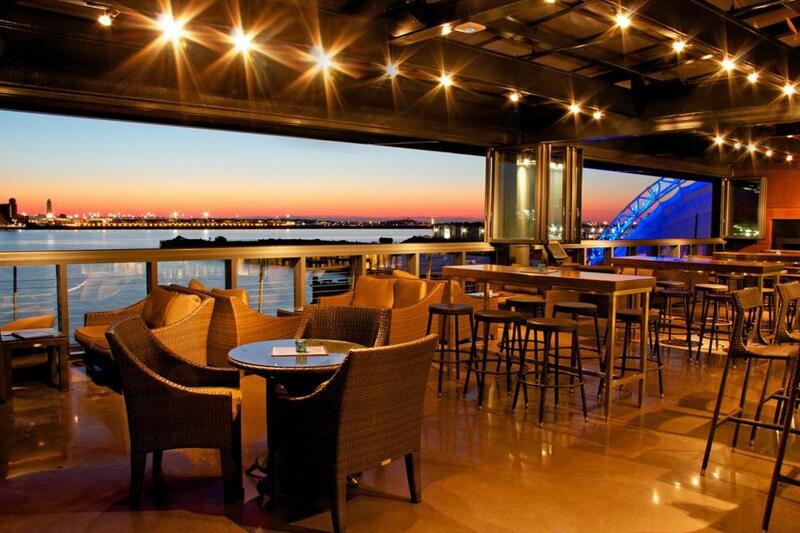 Roof deck open from 4 p.m. to 10 p.m.
Legal Harborside: 270 Northern Ave, Boston. Patio and roof deck open from 5 p.m. to midnight. Cafeteria Boston: 279 Newbury St, Boston. Patio open until 11 p.m.
Publico Boston: 11 Dorchester St., Boston. Garden open from 5 p.m. until midnight. MET Back Bay, 279 Dartmouth St., Boston. Patio open until 11 p.m.
PARK Restaurant and Bar, 59 JFK St., Patio open from 5 p.m. to 1 a.m. The Barking Crab, 88 Sleeper St., Boston. Tent open until 10 p.m.
Granary Tavern, 170 Milk St., Boston. Patio open until 10 p.m.